I am who God says that I am: &amp;quot;I am STRONG&amp;quot;! I am who God says that I am: "I am STRONG"! 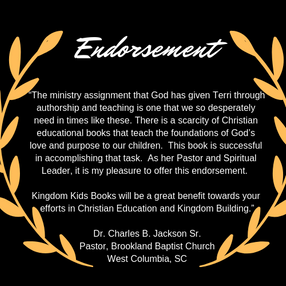 As I continue to celebrate the declarations found in my book, "I am who God says that I am", Let's take this message and apply it to our lives and find creative ways to build this truth in young children. We declare that we are STRONG! 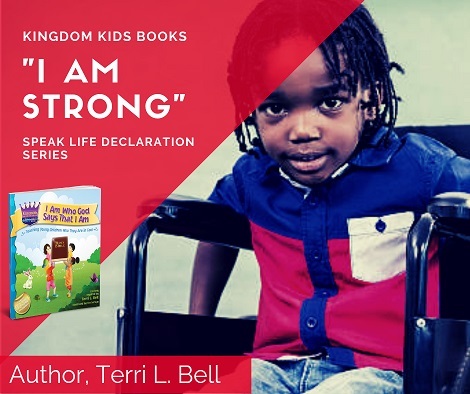 Our children are STRONG because that is what God has said. Some of the synonyms for the word strong is: SECURE, CAPABLE, ABLE, STABLE, MIGHTY, COURAGEOUS, RESILIENT, ASSERTIVE, PERCEPTIVE & POWERFUL! Wow! God's word is ALIVE & ACTIVE! God says in Ephesians 6:10, that we are STRONG in Him through His MIGHTY POWER! He is our source and our children belong to Him. They are STRONG because the Greater One lives on the inside of them. So let's start/continue to be purposeful in "Speaking Life" to Kingdom Kids! I don't care what it looks like; how our children are behaving or what type of challenges they may be facing. Our children are capable, able, stable and powerful! If we start saying it, God will honor His word over their lives. THE CHALLENGE! No matter how old your child(ren) are, ask God what you can do to begin to reinforce this important attribute. Our children have too many people in their ear and they can't be with us all of the time. I'm telling you that if we begin to pour into them, we will start to see our children stand tall and strong in the Power of God who created them and loves them so much! It's time to take back our places as the major influence in our kids lives. Whoever has their ear, holds their destiny! Be encouraged to LOVE hard and Stand STRONG! and SPEAK LIFE to Kingdom Kids!